308 Pepperbush Rd, Louisville, KY 40207 is an exquisite four Bedroom four and a half Bath home on a peaceful cul-de-sac in Mockingbird Gardens. The entry Foyer welcomes guest with glistening hardwood flooring that continues throughout most of the first floor. The Den with double tray ceiling and recessed lighting sits just off of the Foyer. The Formal Dining Room features built in buffet table and tray ceiling. 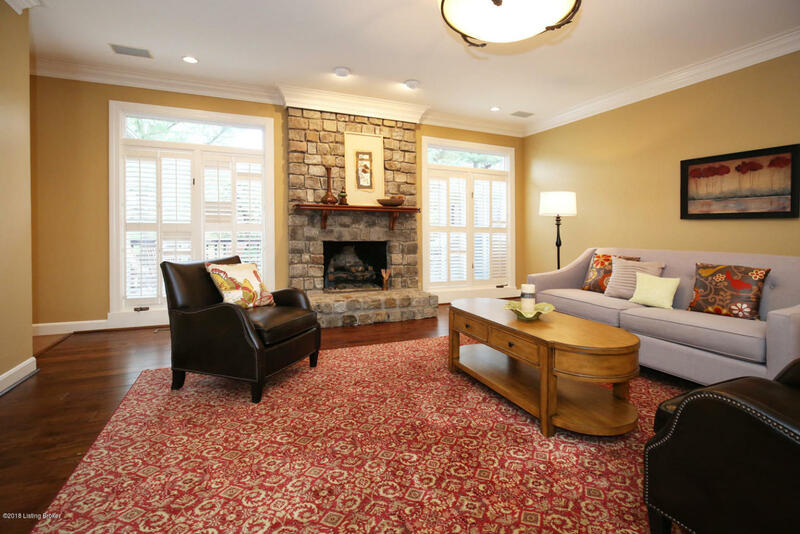 The Living Room showcases floor to ceiling stone fireplace, built in bookshelf, and crown molding. The chef in your family will adore the Eat in Kitchen with granite counters, recessed lighting, breakfast island, plentiful cabinetry, and stainless appliances. 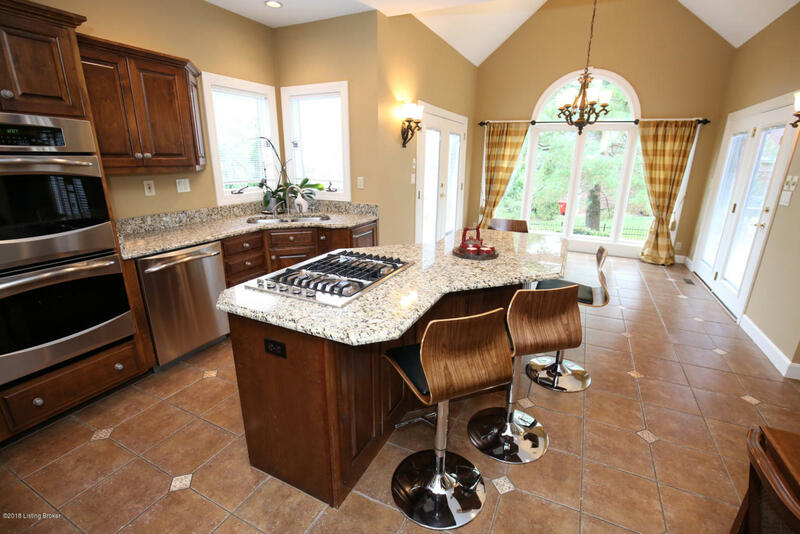 The attached Breakfast Room displays a vaulted ceiling, palladium window, and has access to the back deck. The Kitchen also includes a second staircase to the upper floor. The tranquil Master Bedroom is conveniently positioned on the first floor with walk in closet and its own exit to the deck. The Master Bath offers two vanity areas, tiled walk in shower, and soaking tub with tile surround. The Laundry Room and a Half Bath complete the first floor. The second floor includes three more Bedrooms and two Full Baths. One of the bedrooms has an attached bath and the other two share the other bath. 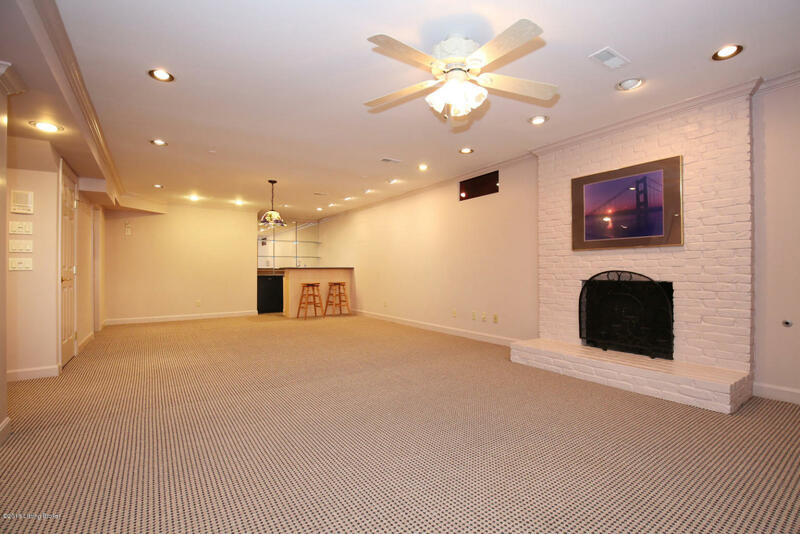 The Basement opens to a large Family Room with built in wet bar and brick fireplace. There is a finished room that could serve as another sleep space with attached bath. The excercise room finishes the basement. 308 Pepperbush Rd, Louisville, KY 40207 has a sunlit back deck and 2 1/2 car rear entry garage. Amazing offering for new owners in a highly sought after neighborhood! Call today to learn more about Mockingbird Gardens and Louisville Real Estate.